40 years ago, the Philippines grows below the 3% range… we have gone a long way since then and we are no longer the ‘sick man of Asia’. What are the macroeconomic concerns we should address to ensure sustainability of our growth? Can we survive international economic shocks? Are we a viable international investment destination? I am proud to present the views of my mentor in economics and a highly respected and admired economist, Dr, Alvin P. Ang, PhD. 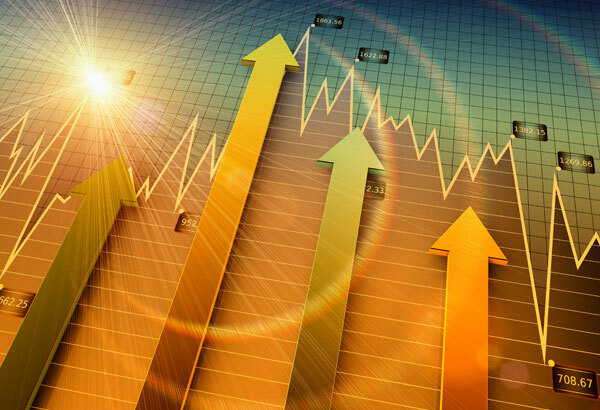 2014 saw a natural experiment in terms of Philippine economic growth. It showed that if government and agriculture will not contribute to the economy, what will be the growth of the Philippines? It proved our expectations that the Philippines is already in a higher growth path. We are now growing at above 5.5% at base case. This is far higher than the below 3% growth we have experienced in the last 40 years. This alone is good news for all of us! It validates that the Philippines is now in a new league far from the sick man of Asia tag we had in the past. Let us just look at what happened to the economy after the major Swiss Shock weeks ago. We find that instead of being pulled down, the peso held on at current levels and the stock market even breach new highs. What is happening is that there is a whole new view about the Philippine economy. We are being looked as an alternative investment destination because of our unique qualities not found in other emerging market economy. These distinct advantages that may help cushion and compensate for any ripples and shocks. Let me summarize them as follows: a) the Investment Upgrade. At present we have yet to benefit fully from this as our FDI has remained low compared to our ASEAN neighbors. However, slowly we are seeing additions. FDI most likely reached USD 6Bn in 2014 and at base scenario would remain the same. B) OFW remittances and BPO. Supporting FDI for inflows will be the remittances and BPO contribution. While remittances are reaching growth maturities of about 4 to 6% growth per year, the BPO sector is strongly testing 2/3 of total remittances. All of these combined will already add a steady stream of close to USD 50 Bn per year. During the 2009 crisis, we were shielded mainly by the wide distribution of OFWs around the world compensating for the weakness in Taiwan and the Middle East. Hence, the economy held on despite massive shocks. This time, the Philippines is in a better position structurally because of the stronger underlying and the contributions of the Investment Grade status and the BPOs. Furthermore monetary policy has been prudent with liquidity growth back to single digit levels and the loan growth at 20%. What is more encouraging is that loans to production have diversified to more sectors than before assuring a more balanced production growth. With these conditions, it is very likely that local interest rates will be hovering lower than their current levels. This is more so because we see inflation to weakening to even below 2% at best scenario. Best scenario assumes that the current oil price levels continue to weaken by ½% per month and that the port congestion is responded at a much faster rate than current. As regards the peso-dollar rate, the short term will see volatilities, but the general direction is that of a weakening considering that the US economy has been rebounding at a sustained pace. This will most likely lead to a tightening of US interest rates within the year. A higher US interest rates may attract funds back to the US. But this is a question of flight to quality. The Philippines is no longer a junk grade economy so it will not necessarily lead to a lot of funds moving out. Besides, the strong compensatory effect of the unique feature of our economy will ensure that any depreciation will be mild and will be helpful to make our exports competitive – this will be a movement between 1% to 2.5%. As regards equities, 2014 saw a banner year with the PSEi hitting more than 20% return. The concern is that if the earnings will remain at their current levels, we will be expensive compared with our neighbours. For the last 3 years (2011-2014), the Philippines was the 13th best performing equities market in the world. There is still room to go up considering that current PE levels of 20% is well within the 20 year average. Hence, we see the PSEi moving up by 5% at base scenario to 7,600 and a maximum of 10% at 8,000. 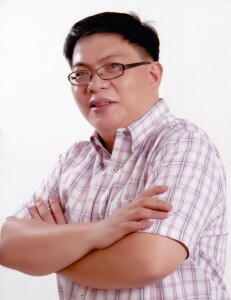 Alvin Ang is presently Senior Fellow of Eagle Watch, Economic Forecasting Unit of Ateneo de Manila University and Professor of Economics at the same university. He was the 2013 President of the Philippine Economic Society and was previously Professor and Director of Social Research at University of Santo Tomas. He advocates personal finance as one of the key missing links to address serious inequalities in the country.